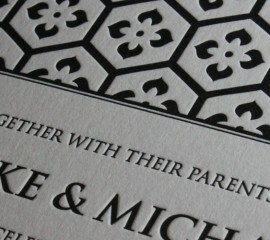 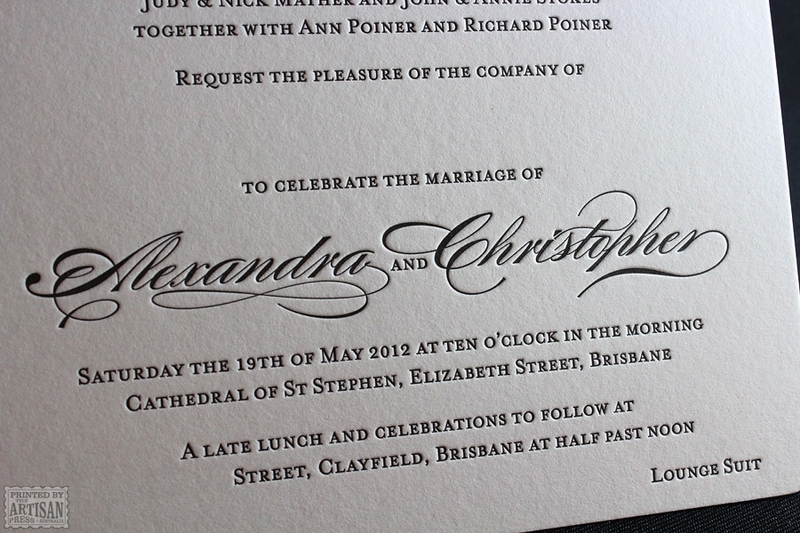 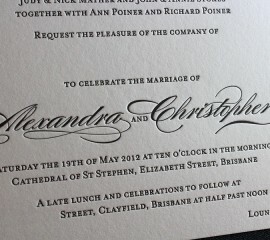 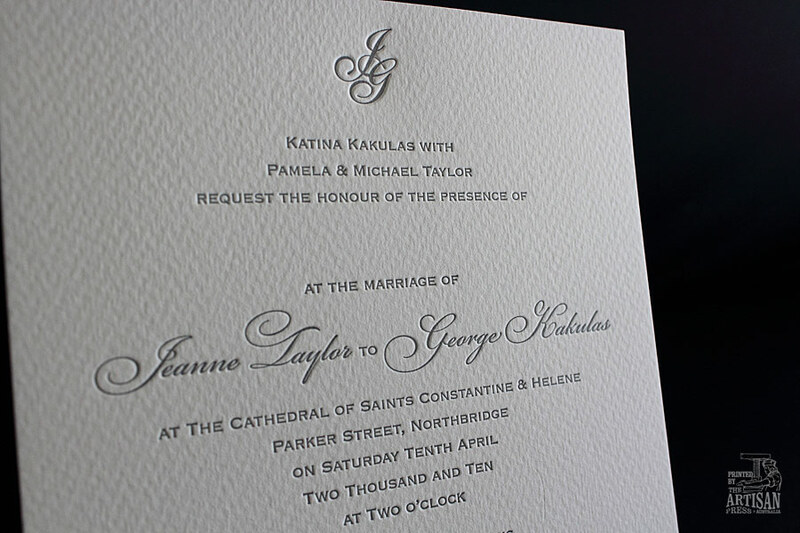 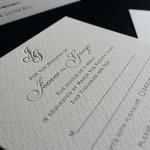 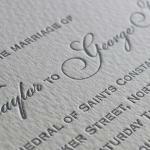 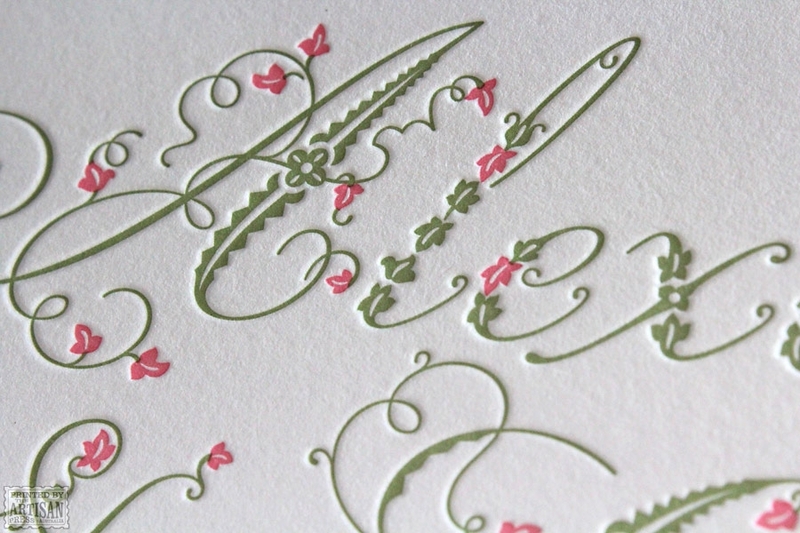 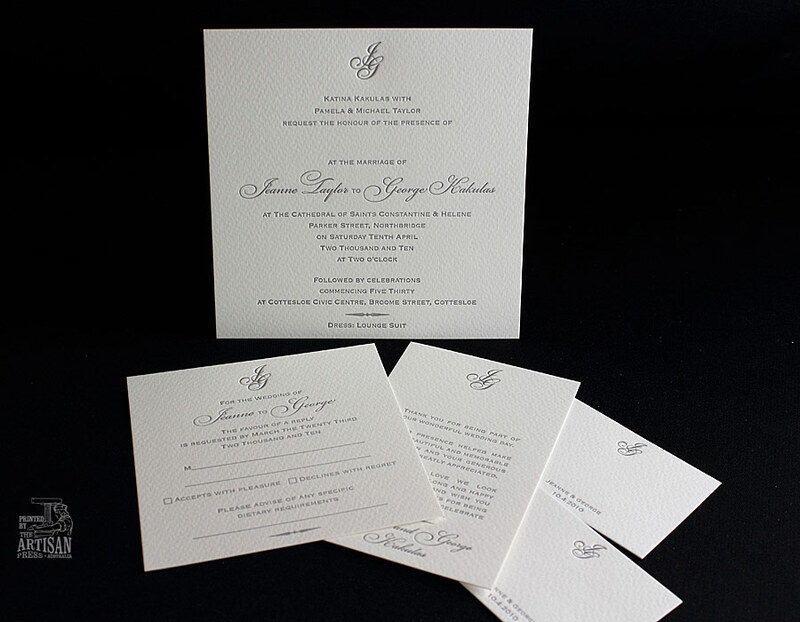 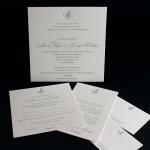 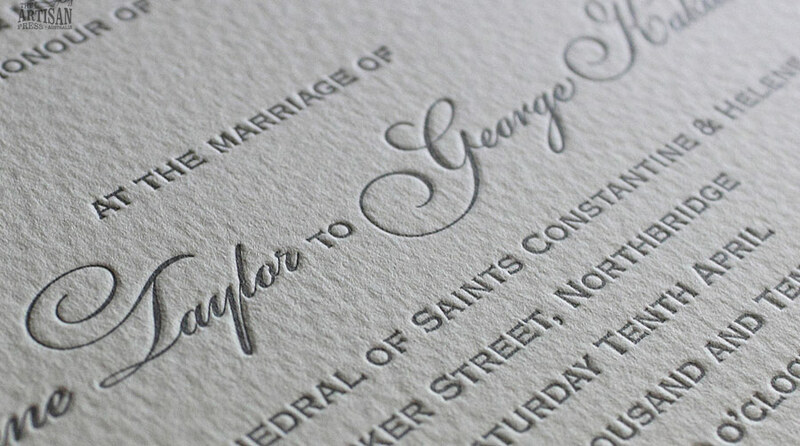 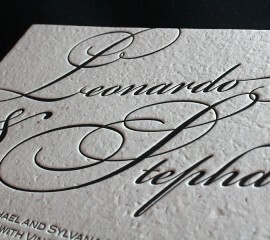 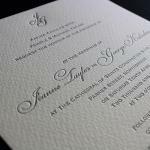 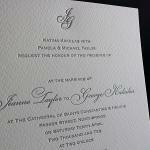 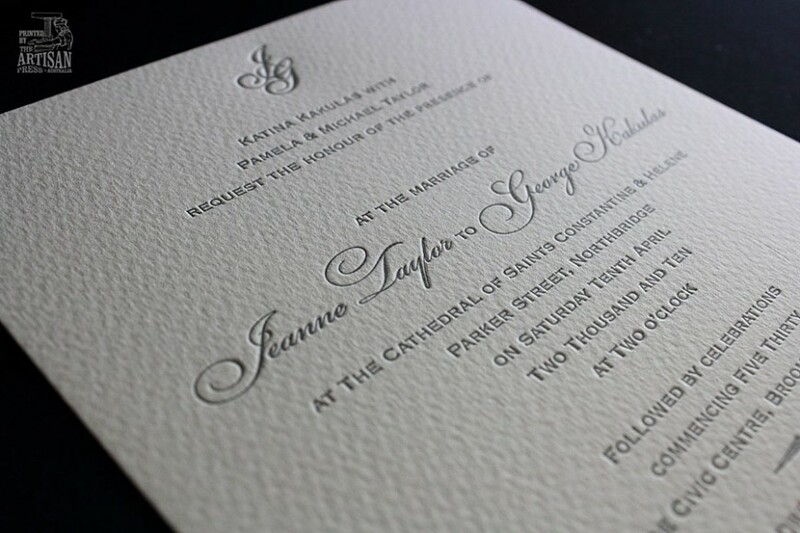 A classic letterpress wedding invitation design personalised with the bride and groom’s monogram. 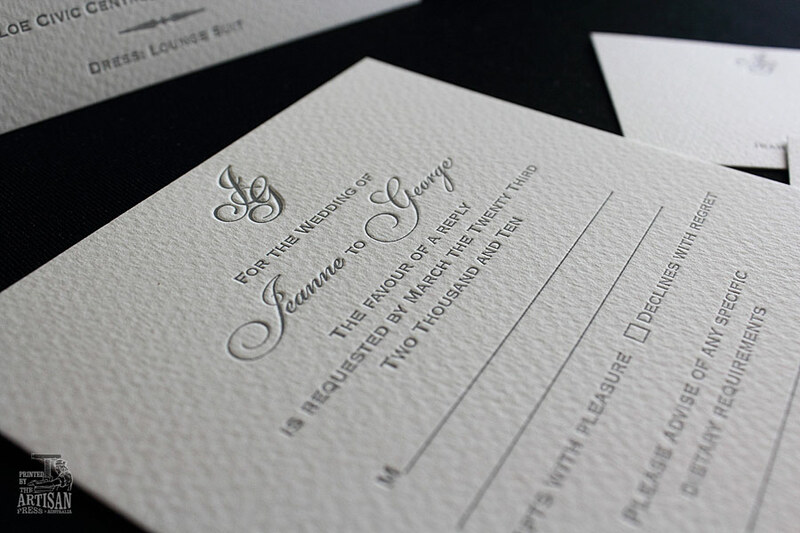 Old-school class and elegance. 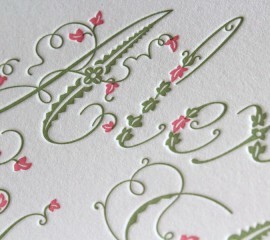 Crisp, clean text with each character individually impressed. 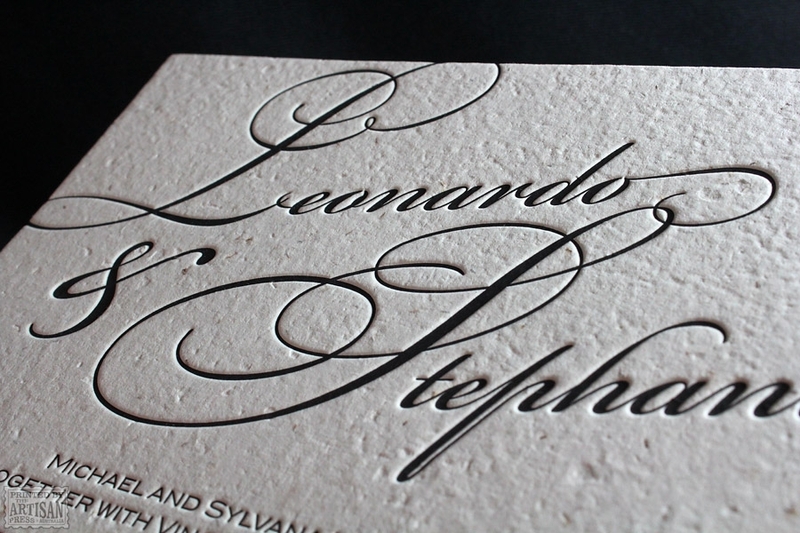 The paper texture is allowed to feature alongside a beautifully balanced impression.